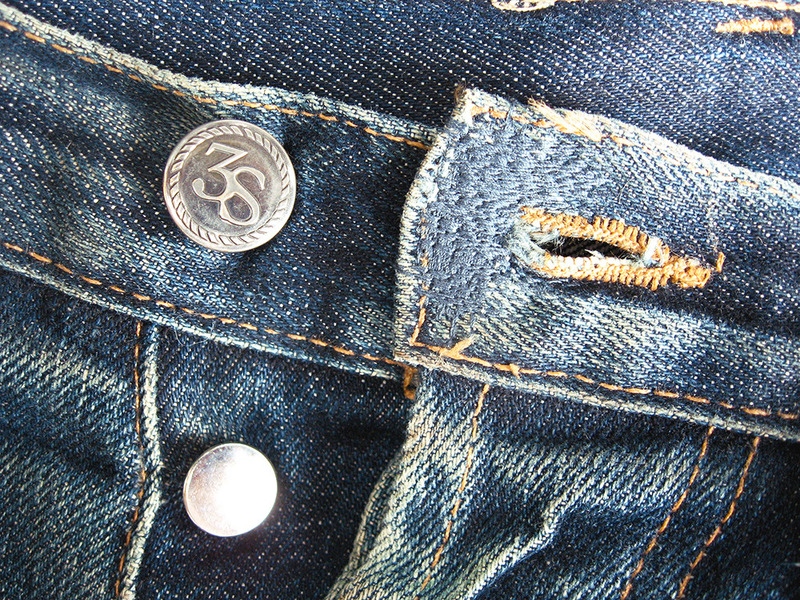 Coincidentally, shortly after Jesse’s post last week on patching jeans, I received my 3sixteens back from Denim Therapy – one of the many shops nowadays that specializes in denim repairs. Like Jesse, I’ve had my jeans for about five years now — and although they’ve already seen a trip to Self Edge’s Darn It (another speciality repair place) — they’ve experienced some more wear-and-tear in the last year and needed fixing. 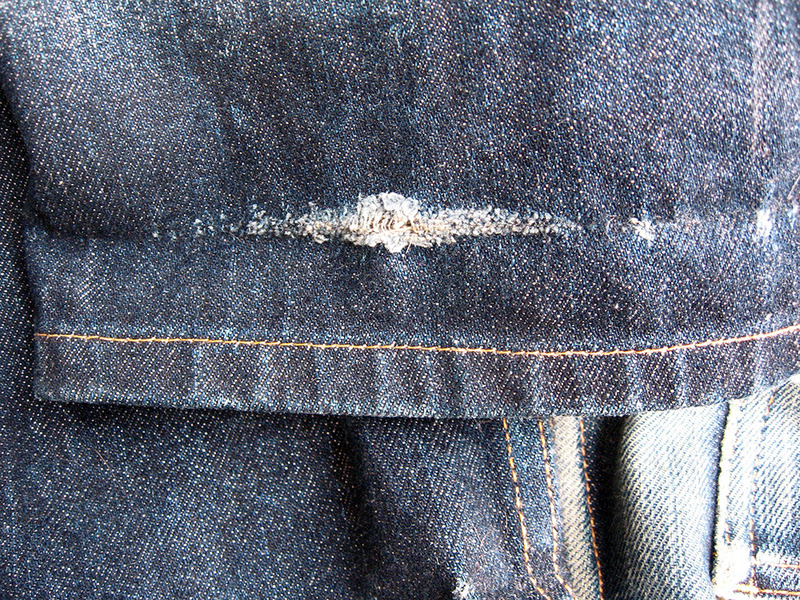 So, I thought I’d do a post on the most common types of denim damage and how they can be repaired, as well as avoided altogether. Crotch blowouts refer to when you get holes in the place where you least want holes. To fix them, you can use any of the methods listed in Jesse’s post, although for this specific issue, I recommend darning. 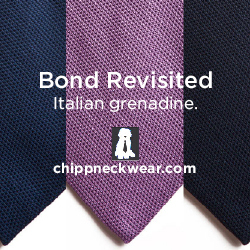 That’s when a specialist “reweaves” new threads into the material, using threads that most closely match your pants. This not only makes the repair nearly invisible (which is nice since this is, um, at your crotch), but it’s also much sturdier than patching. The downside? It’s also more expensive. How to avoid: Wash your jeans more often. 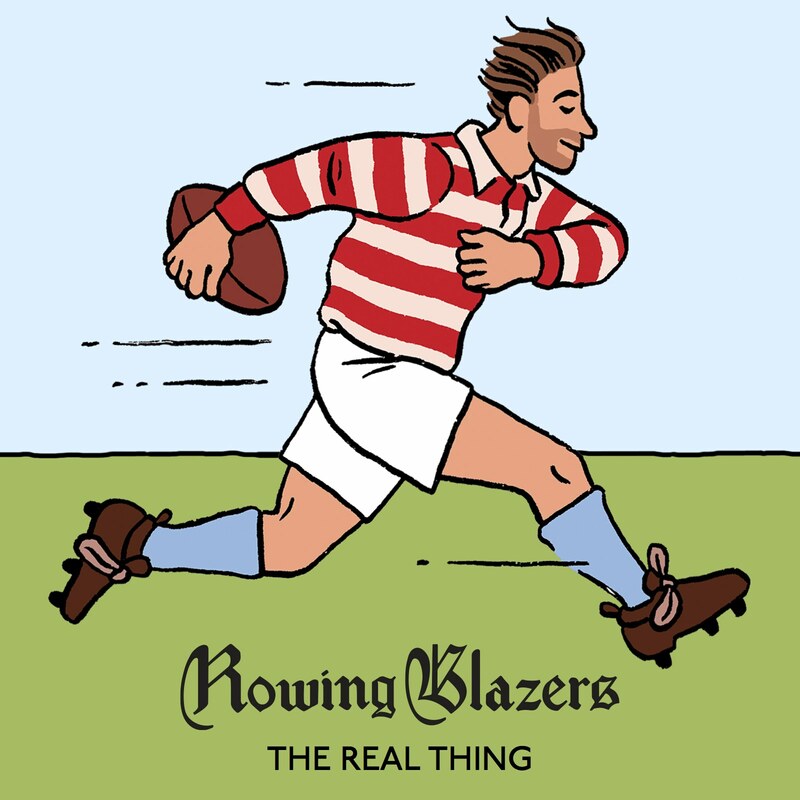 It doesn’t have to be after every wear, but it’s the combination of dirt accumulating and the fabric rubbing against itself that causes blowouts. Those dirt particles act like tiny little razors, first thinning the material, and then finally breaking it open. Areas around the thighs and knees can also wear thin and eventually break. For these repairs, you can again refer to Jesse’s post. I personally like the slightly more ad hoc method of just patching thighs and knees with a piece of cloth. Jesse’s LVC jeans look great here. 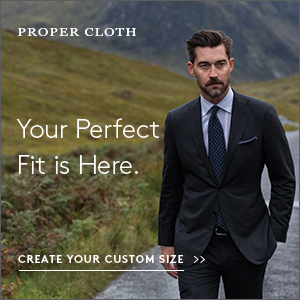 A local tailor should be able to do that for you for not too much money. And if the holes aren’t too big, you can also just leave them in, like I’ve done above. 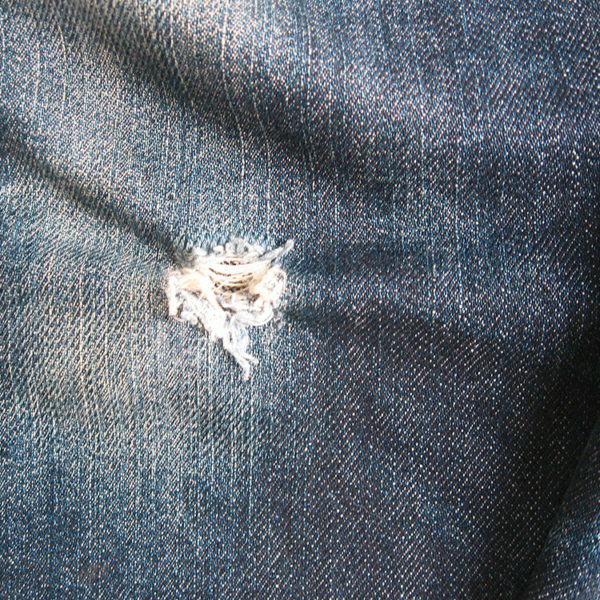 Personally, I think a hole or two can give a pair of jeans some character. 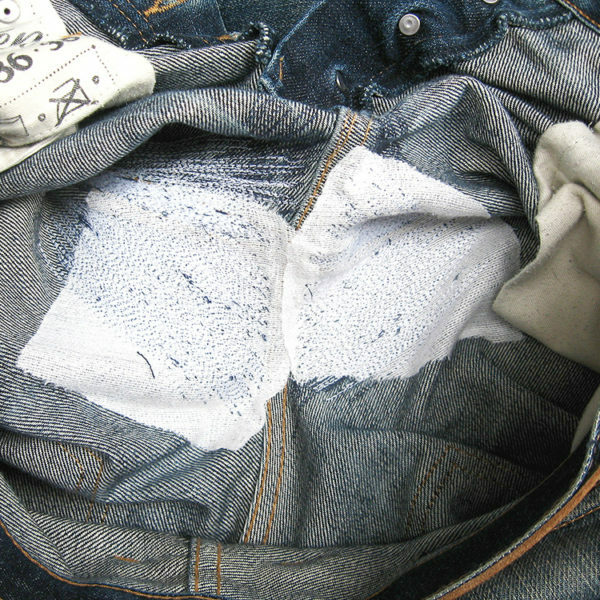 How to avoid: Again, wash your jeans more often. 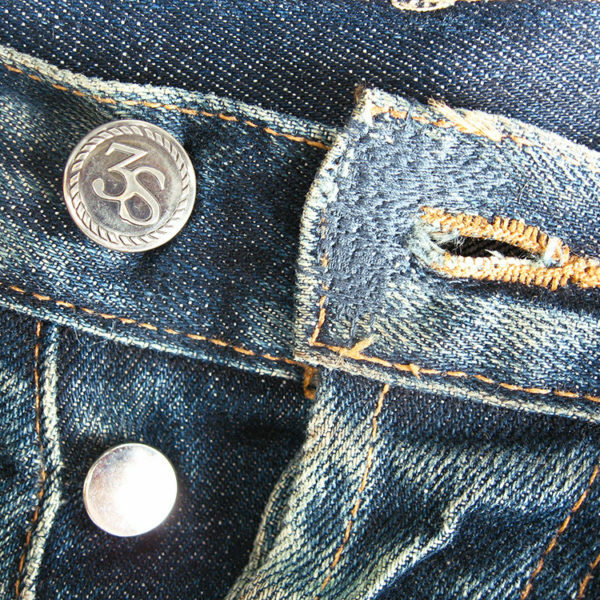 Whether because you’ve gained weight or initially sized too far down, the buttonholes on your jeans can stretch with time. 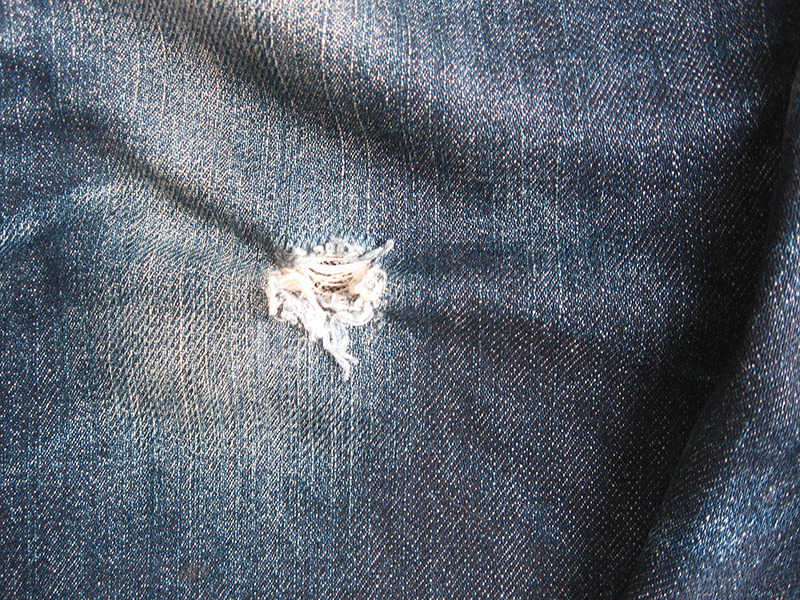 If the damage isn’t too bad, a local tailor can reinforce the area with new stitching. If it’s really stretched out, however, then you’ll need to get the area darned. I had the second done, and you can see the results above. How to avoid: Raw jeans are often a bit tight at first in the waist, but you don’t have to size so far down that things feel skin tight. Doing so will just put unnecessary stress on the buttonholes. 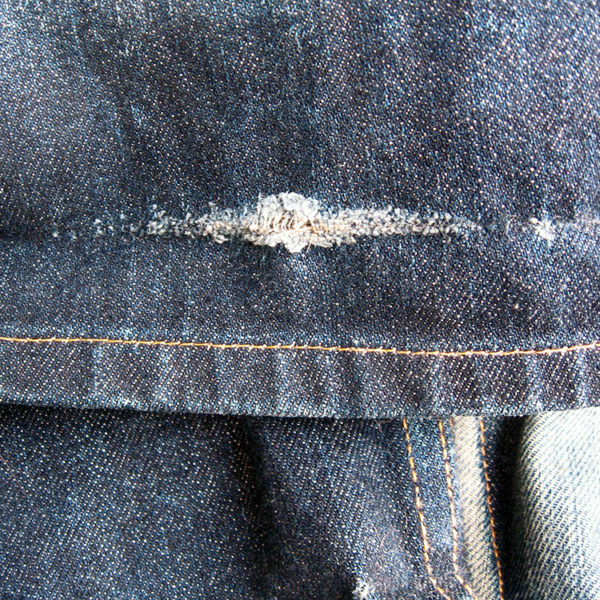 If you wash your jeans infrequently and leave them cuffed, you’ll find that the dirt that accumulates will eventually wear through at the crease. Unfortunately, the solutions here are less than ideal. You can get the cuffs darned, but the material will be stiff and hard to fold again (you use an iron to help them along). 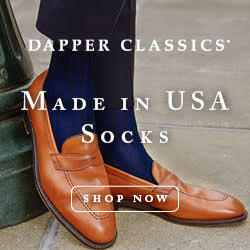 Otherwise, you can ride them out until the cuffs fall off, at which point, a tailor can put in a new hem (which is what I’d recommend). How to avoid: Uncuff your pants every once in a while and brush out the dirt. You can use your hand (obviously), or a clothes brush. Having a clothes brush is handy if you have tailored clothes (suits, sport coats, the like), as that’s how they should be regularly cleaned. If you’re looking for a darning service, check out Self Edge’s Darn It, Denim Therapy, and Denim Surgeon. 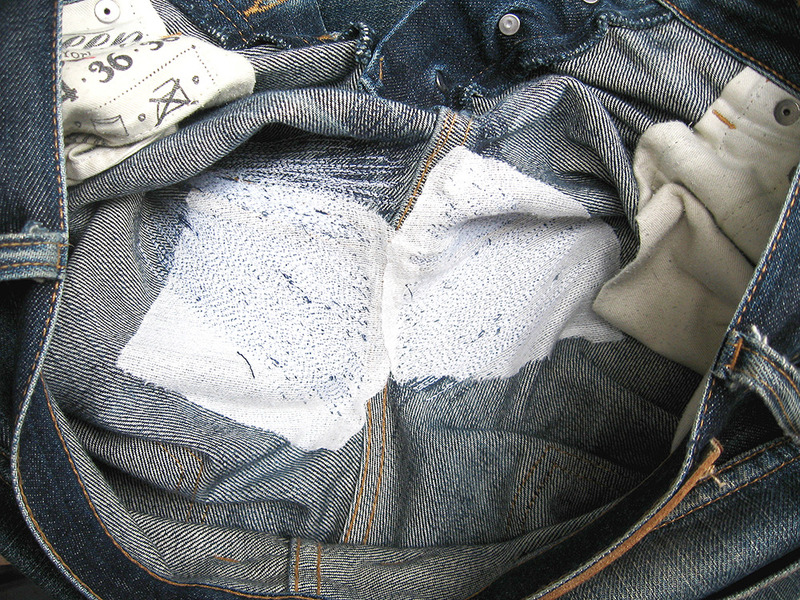 For more suggestions, check this SuperFuture thread dedicated to denim repairs.